This is one of the more outstanding terrace shophouses along Emerald Hill Rd, Singapore. (Shop downstairs, living quarters upstairs). 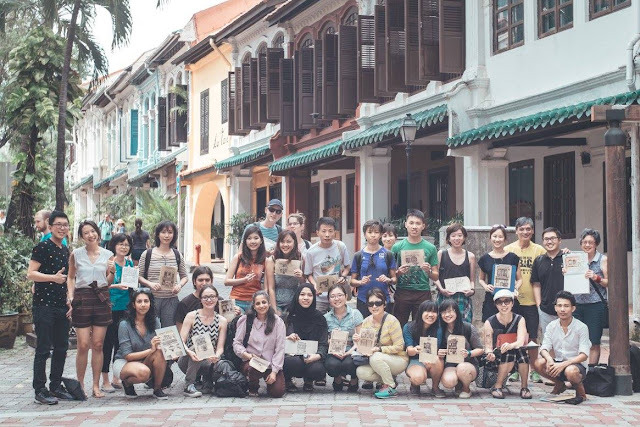 It was sketched during the Architectural Art Walk for Singapore Design Week. This sketch was very addictive. Finished mostly on location, I had a hard time stopping myself from adding more and more details on it after I got home. Emerald Hill was originally owned by William Cuppage who later became Postmaster General of Singapore in the 1840’s. It was here that he had a nutmeg plantation which unfortunately failed. It later became an orchard owned by one of Cuppage’s sons-in-law. This too failed. The property changed hands several times, got subdivided and after the turn of the century became a neighbourhood for members of the city’s wealthy Peranakan (Straits Chinese) community. 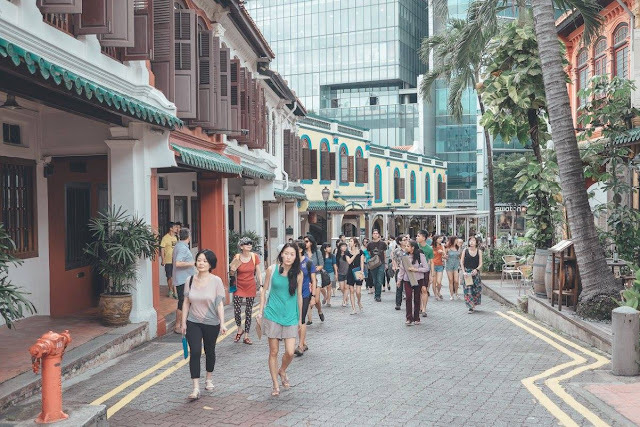 I am of Peranakan descent on my father's side but unfortunately don't have any family connections to Emerald Hill. Now a conservation area, I love this street for it’s interesting style of Shophouse architecture. I forgot to take a photo of the shophouse but here are a couple of photos taken by someone else on the day. and here's the group at the end of the session.